It starts today: the latest phase in the musical evolution of My Brightest Diamond has officially begun with the release of None More than You, an EP of new material from composer/performer Shara Worden. 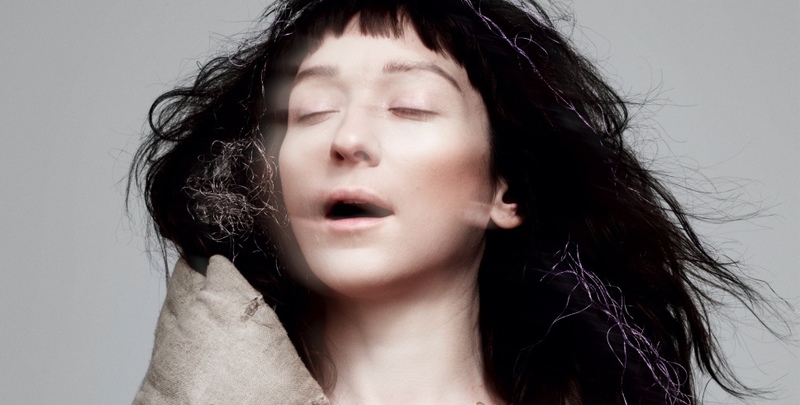 The five tracks collected here hint at a new direction for My Brightest Diamond, as Worden begins combining lullabies and laments of an almost tremulous intimacy with pop songs that take as much inspiration from classic poetry as they do from the latest dancefloor anthems. Two of those tracks are a pair of vastly different takes on “Dreaming Awake”: the raw Son Lux Mix that opens the EP, and a mix by Mason Jar Music, who got caught trying to record the song at a secret session inside of an abandoned power station. Footage of that recording session—including the bust by the police, and the subsequent al fresco performance—has been uploaded to YouTube and premiered by Consequence of Sound, along with an embedded Soundcloud stream of the complete EP. None More than You has been released exclusively on translucent purple vinyl or as a digital download here. In addition, iTunes has bundled together a Prismatic Edition of the forthcoming My Brightest Diamond LP, This Is My Hand, that includes a download of this EP, a pre-order of the LP (due in September), and a special advance download of “Pressure,” the lead track from This Is My Hand. It’s all available now.